According to Daniel Duval, there’s a simple reason the notion of trust is important to any business: “Trust, once broken, can be near impossible to repair,” he says. So, if you lose trust, you lose business. As general counsel, chief compliance officer, and managing director of Jefferies Finance LLC, Duval partners with other members of the executive leadership of the leveraged finance and asset-management business to implement the company’s strategic initiatives. That includes capital raising and liquidity management, fund formation, developing new regulated business lines, corporate governance, regulatory compliance, and enterprise risk management. In addition, as the chief compliance officer to three registered investment advisory businesses, he is at the center of ensuring the company’s commitment to its clients remains paramount. His deep understanding of the business drivers and his integral role in the company’s strategic planning allow him to provide valuable insight into not only legal and compliance topics but also matters that impact the company’s business, processes, and operations. “In a business that is constantly changing, I’m able to evaluate and understand the impact of a particular strategy on our compliance program and, in turn, the impact that any changes in the program might have on our business,” Duval says. That success aside, it’s not a fixed formula. Duval points out that the compliance program has had to be built to adapt to a growing business and ever-changing markets and regulations. He says his goal has been to manage a program that’s not only cost efficient but also operationally efficient, automating processes to reduce manual work and scaling the program to changes in the company’s size. The multilayered approach requires messaging and support from the company’s leadership but also requires buy in from all employees. Considering the company’s adherence to trust and ethics, the fact that compliance permeates every aspect of the business perhaps shouldn’t have been a surprise to Duval, but he says that when faced with implementing a system that covered almost every aspect of Jefferies Finance’s business, it was sobering to see just how ingrained the culture of compliance truly is. 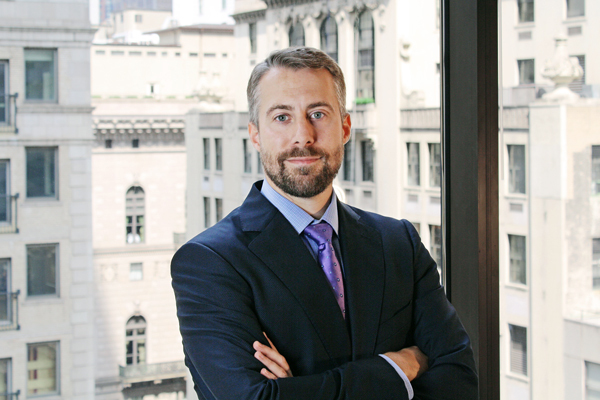 In addition to his work with Jefferies Finance, Daniel Duval is president of the Cornell Law School Alumni Association executive board. He’s also the founder and president of the Cornell Network of In-House Lawyers, which provides networking opportunities, mentorships, and a community that fosters professional development.